Palmer Lake is located on the northern edge of El Paso County between Denver and Colorado Springs, west of I25. It's 7,2000 elevation is called the Palmer Divide and it's the highest point between Denver and Colorado Springs. The Palmer Lake area has spectacular sweeping view of the Rocky Mountains. 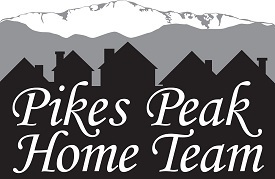 Enjoy small town living with easy access to Denver, Monument, Castle Rock and Colorado Springs. Palmer Lake is popular with those who enjoy an active outdoors lifestyle. The Santa Fe Trail, a beautiful hiking and biking path, is nearby. The Pikes Peak National Forest gives residents outstanding views and plenty of opportunities for outdoor activities such as hiking, biking, horseback riding, camping, boating and fishing. To learn more about doing business in Palmer Lake visit the Tri Lakes BNI Business chapter.